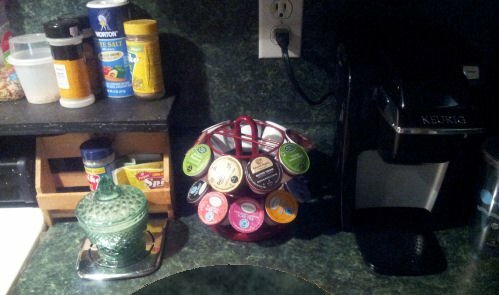 The Nifty K Cup Mini Carousel lets you elegantly display all your favorite types of K-Cups while not taking up a lot of space. The mini carousel will hold up to 18 K-Cups. 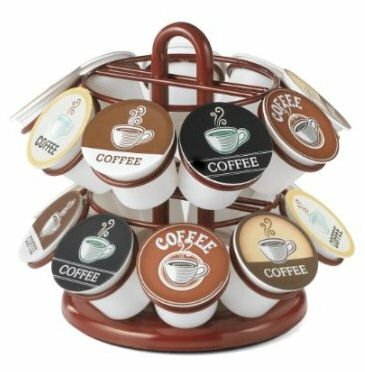 The Nifty K Cup Mini Carousel is perfect for smaller kitchens, dorm rooms, and small office settings. The lazy Susan base rotates 360-degree allowing you to easily access your favorite K-Cup. The red powder-coat finish looks classy on any kitchen counter top.